Mighty Dump Truck Vehicle Just $24.96! Down From $69! You are here: Home / Great Deals / Amazon Deals / Mighty Dump Truck Vehicle Just $24.96! Down From $69! For a limited time, Amazon is offering this Mighty Dump Truck Vehicle for only $24.96 down from $68.99 PLUS FREE shipping with Amazon Prime or for orders over $25! 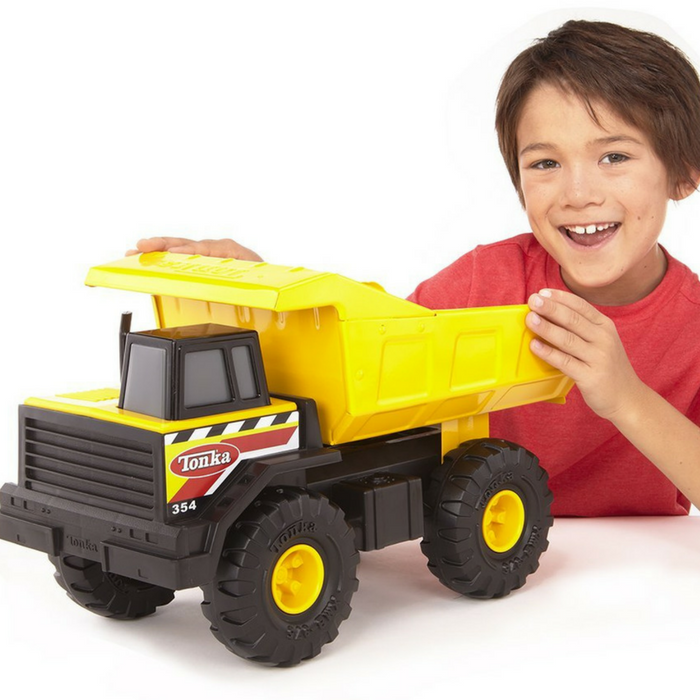 The Tonka Classic Steel Mighty Dump Truck is built for hauling! This sturdy, steel construction vehicle is ready for the toughest loading jobs. Move the bed up and down to trigger its unloading action! Constructed with Steel and guaranteed for life. Your kids would surely love to have this!